Hi! 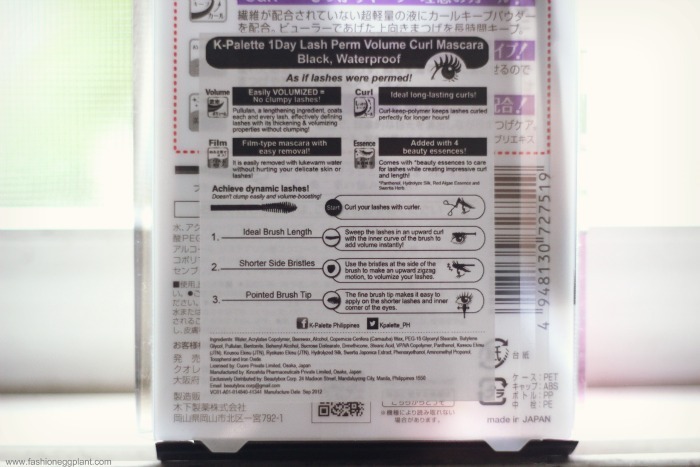 I'm back with another review of one of k-palette's new products! 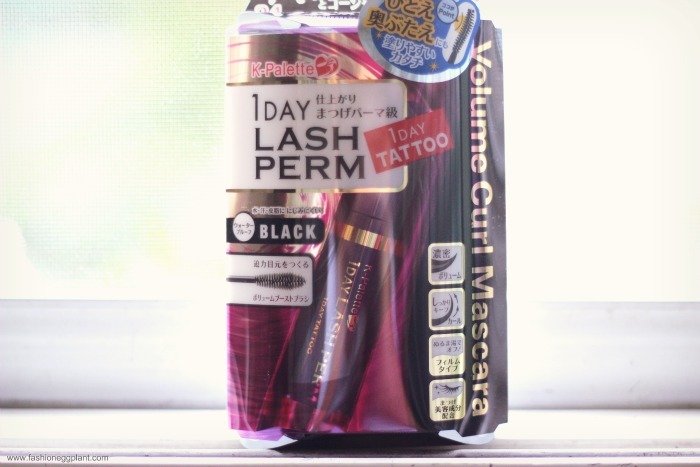 This time it's their 1 day tattoo lash perm volume curl mascara. Yep, it's a pretty long name but it does all that and more. I hope you don't get tired of me saying this but I said it many times and I'll say it again. K-Palette never disappoints. On the contrary, each new product always has a wow factor to it that will leave you in awe. Other make-up brands should be thankful that K-Palette doesn't yet have a complete line because they really are the best in what they do. 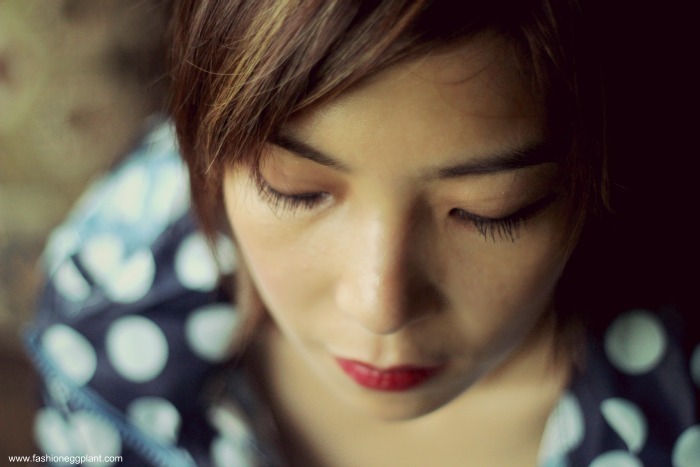 Just like the eyepencil, eyeliner and eyebrow liner, their mascara is also the best I've tried. 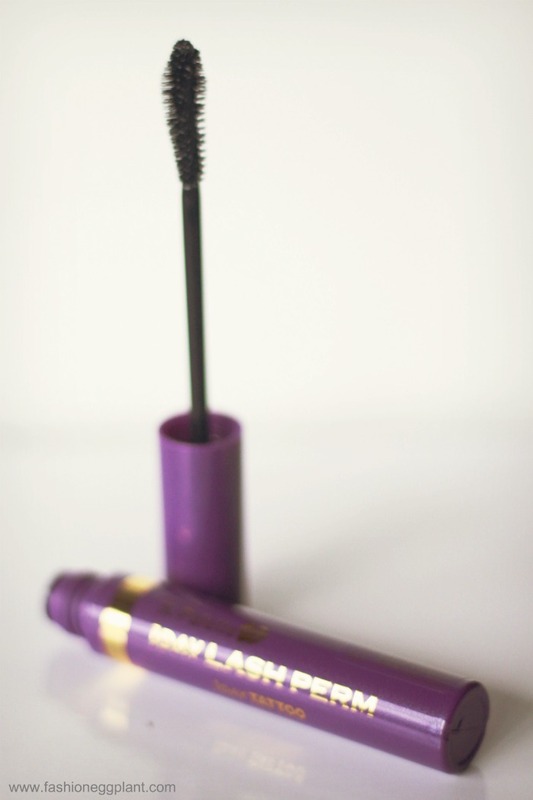 I'm very particular about mascara because I really have short and sparse eyelashes. Really short that I couldn't even curl them with a curlash before. (Now I can though thanks to revitalash and the laura mercier eyelash curler, but that's a whole different story). But still, despite curling, they are hardly visible so a good mascara is really a must for me. It doesn't clump no matter how many coats you apply. Washes off easily (just lukewarm water) yet very waterproof and oil proof. Stays on all day, no need for touch ups. Kawawa no? So tiny pero 50% improvement na yan since a year of using revitalash, it used to be a lot shorter than that. Notice the thickening and lengthening effect? It's actually a lot more obvious pa pag side and front view but my photographer du jour doesn't know how to capture it properly so top view nalang. In person though, it really has the power to open up your eyes. Very nice. The best I've tried actually. If you're in the market for a new tube of mascara, I highly suggest trying this out. Go to your nearest Beauty Bar branch to check it out for yourself. I've only heard nothing but good things about K-Palette. Hoping to grab one of their eyeliners soon! kala ko giveaway. nagpanic mode ako. hehehe.